The latest version of Seagull’s true Windows printer drivers adds support for more than 65 printers from 20 manufacturers, including the SATO CL6NX and the Markem-Imaje CimJet series. It also adds a new feature to set the real-time clock on a wide variety of printers. Seagull’d drivers help provide the best performance from your printer and Bartender software. New feature to set the real-time clock. The clock may be set on demand, or the current time may be updated with each print job, to ensure the printer’s time is always synchronized with the computer. This is supported for all manufacturers which have a command to set the real time clock, including Avery, cab, DPL, EPL, EZPL, Intermec Direct Protocol, PPLA, PPLB, SATO, Toshiba TEC, TSPL, and ZPL. The readers of Business Solutions magazine have honored Seagull Scientific for the seventh straight year as a “Best Channel Vendor” in the category of Labeling Software. With nearly 3,000 readers voting, Seagull’s resellers cited Product Features and Product Reliability as our top two areas of strength. As the leader in barcode label design software, their Bartender software is available is several versions to best meet the needs of any sized business from single locations to complete enterprises. Seagull Scientific, manufacturer of BarTender labeling software, has announced that it has released a new label template to help food manufacturers and packagers meet the European labeling requirements scheduled to take effect in December 2014. EU Regulation No 1169/2011 (Food Information to Consumers, or FIC) identifies 14 major categories of allergen that must be emphasized on a product’s ingredient label. The BarTender FIC label template automatically highlights any of the 14 allergens that appear on an ingredient label, enabling easy compliance with the new regulation. Primera has announced it is now providing Seagull Scientific’s award-winning BarTender software for label design and printing with many of its color label printers. 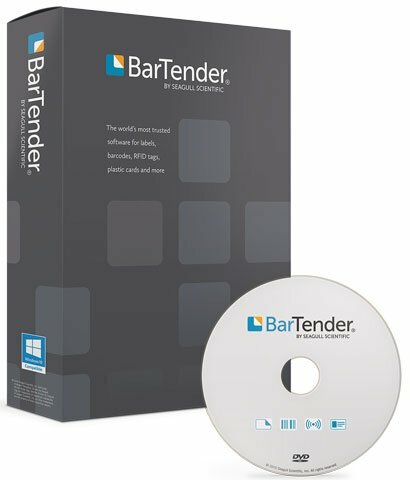 BarTender is the world’s most trusted software for designing and printing labels, barcodes and more. Its four editions address a wide range of printing and marking solutions, from small, stand-alone printing environments at SMBs to large, automated printing infrastructures at large enterprises. 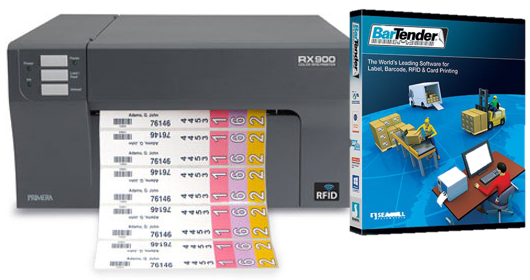 The Primera LX400, LX900, and RX900 Color Label Printers include the BarTender UltraLite Edition, which offers the most frequently used label design features, including most text, graphics, barcode and serializing capabilities. Getting the best performance out of your label printer can often come down to having the right printer driver installed on your PC. Every barcode printer manufacturer provides a driver to use with their products but, sometimes they are not the most robust. Users may find that when printing labels with the default manufacturer drivers with variable and unique information per label, their printer will pause for a moment between each label. Other times, there may be issues with label formatting or communications to the printer.